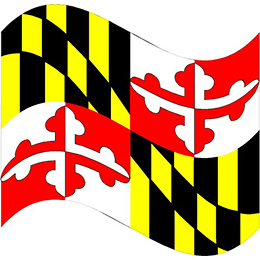 IDSA is supporting legislation to establish the Maryland Design Excellence Commission, considered an important investment in the current and future quality of life for all Maryland citizens that will bring a return on investment in multiple ways. IDSA, headquartered in the Washington, DC region, is marking its 50th year and represents thousands of members around the world and across the country including designers in Maryland via the IDSA Mid-Atlantic Chapter. Awareness and support of the design field is growing; March 5 has been entered into the US Congressional Record this year as the first National Industrial Design Day. “Once this legislation is passed, IDSA believes the establishment of the Maryland Design Excellence Commission will develop design-driven innovation programs and outcomes fostering sustainable economic development, competitive job growth, effective government services and livable communities for all Maryland citizens,” writes IDSA Executive Director Daniel Martinage, CAE, in a letter to the leaders of the Maryland Senate Finance Committee. The Commission would integrate design thinking and processes into public and private sector innovation, sustainability and accessibility by bringing together legislators and public and private sector executives, with design professionals from all design principles—to exchange best practices for developing design-driven organizations. The bill would provide for the composition, chair and staffing of the 30-member commission; prohibit a member of the commission from receiving specified compensation but authorizing the reimbursement of specified expenses; and require the commission to study, develop specified plans and programs and establish specified events regarding design excellence initiatives. The legislation is co-authored by Stephanie F. Yoffee, design policy researcher; Jay P. Corvan, architect; Maren M. Maier, design strategist; and Gary L. Norman, attorney. It’s sponsored by Sen. Catherine E. Pugh and Del. Joseline Peña-Melnyk. The legislation is expected to be considered in the 2016 session by Senator Thomas M. Middleton, Chair of the Senate Finance Committee and Sen. Catherine E. Pugh, Senate Majority Leader. Yoffee says a small working group will be convened throughout this summer to further study and prepare for the Senate and House committee briefings set to take place in early September 2015. In addition, Yoffee says monetary donations can be made to the Morgan State University School of Architecture and Planning Fund, care of Dean and Professor Mary Anne Akers. She can be reached at maryanne.akers@morgan.edu or (443) 885-3225). The donations would support up to six, parttime graduate students from any graduate level design program in an accredited educational institution in Maryland, to work as staff to the Maryland Design Excellence Commission once it is established.